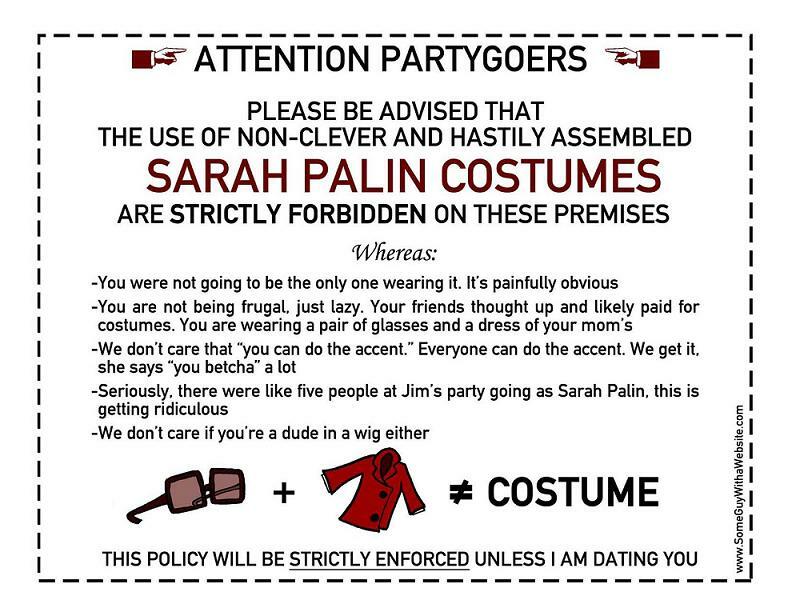 Halloween Sign: No Sarah Palin Costumes! The conservative writer Andrew Sullivan gives 10 reasons why conservatives should vote for Obama. My favorite is number 10. It is a long time coming to make progress on this issue. 9. Less debt. Yes, Obama will raise taxes on those earning over a quarter of a million. And he will spend on healthcare, Iraq, Afghanistan and the environment. But so will McCain. He plans more spending on health, the environment and won’t touch defense of entitlements. And his refusal to touch taxes means an extra $4 trillion in debt over the massive increase presided over by Bush. And the CBO estimates that McCain’s plans will add more to the debt over four years than Obama’s. Fiscal conservatives have a clear choice. 8. A return to realism and prudence in foreign policy. Obama has consistently cited the foreign policy of George H. W. Bush as his inspiration. McCain’s knee-jerk reaction to the Georgian conflict, his commitment to stay in Iraq indefinitely, and his brinksmanship over Iran’s nuclear ambitions make him a far riskier choice for conservatives. 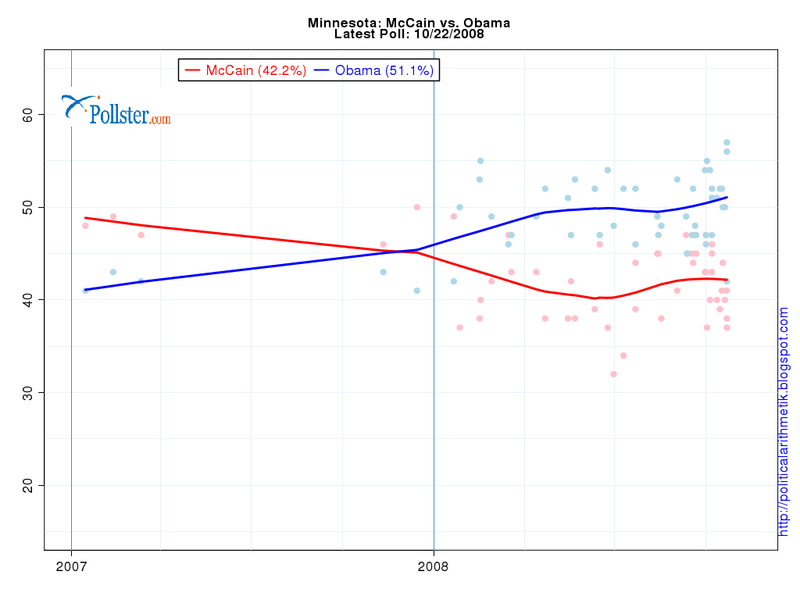 The choice between Obama and McCain is like the choice between George H.W. Bush’s first term and George W.’s. 7. An ability to understand the difference between listening to generals and delegating foreign policy to them. 6. Temperament. Obama has the coolest, calmest demeanor of any president since Eisenhower. Conservatism values that kind of constancy, especially compared with the hot-headed, irrational impulsiveness of McCain.